If you follow this blog, you might know that last year I got a full-time job, which pretty much meant the end of my freelance career. Still, from time to time, I've been able to squeeze some freelance jobs into my schedule. 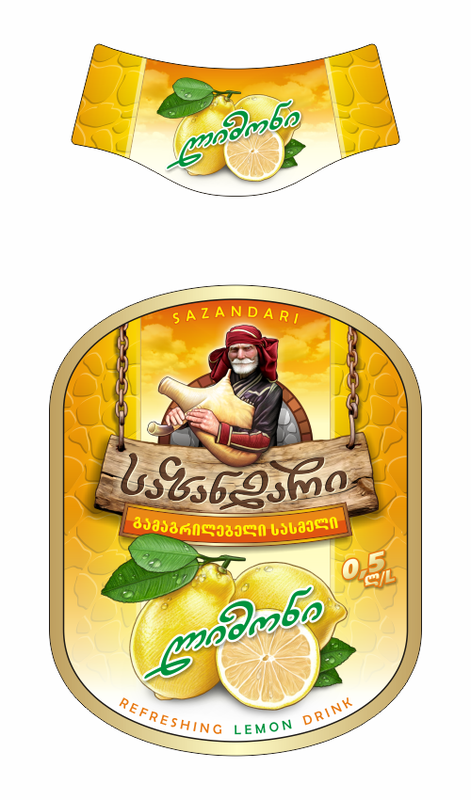 So I'm planning to dedicate the next few posts to some of such works done last year and earlier this year, starting with a series of refreshing drinks from the summer of 2012. Sazandar (Georgian form sazandari) is a word of Persian origin, used as the name for the traditional three-man folk bands, popular in 19th century Azerbaijan, Iran, Armenia and Georgia. 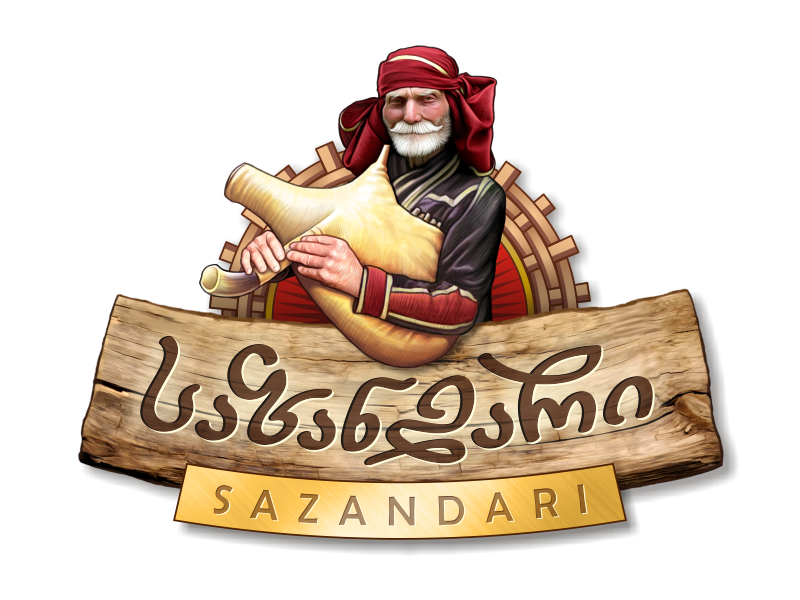 There's a chain of restaurants in Georgia, named Sazandari, offering traditional Georgian cuisine. 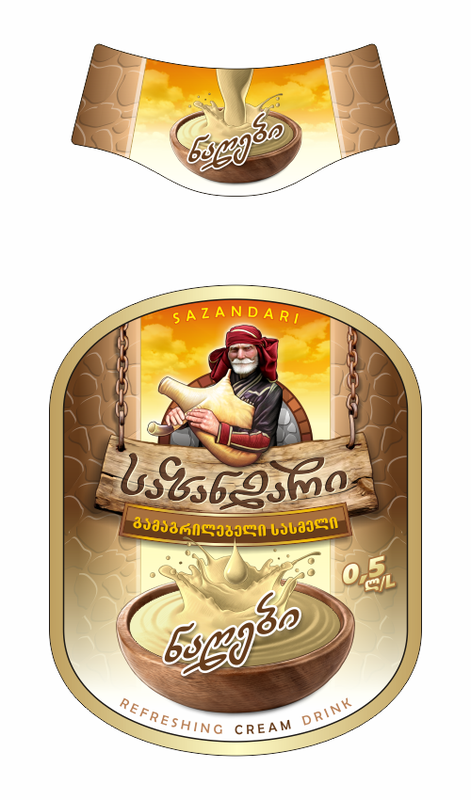 Such restaurants often serve exclusive drinks under their own label -- mostly refreshing beverages. This is exactly the case here. 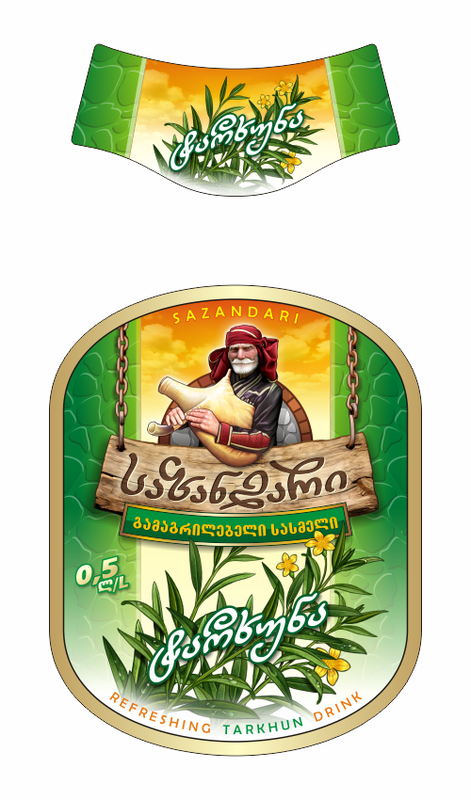 The task was straightforward: a series of labels with "traditional" (or, rather, pseudo-traditional) elements, in sync with the general style of the interiors and exteriors of the restaurants in question. In plain English it basically means trowing in some wood and stone textures. Oh, and chains! They love chains. 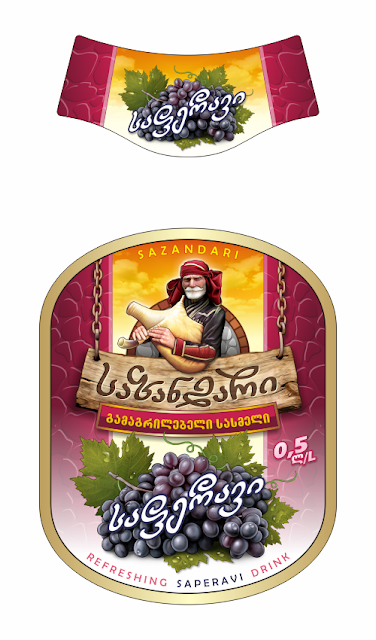 The old man in a traditional Georgian costume you see in the trademark looks all peaceful an noble, but don't let the looks deceive you! Actually, he's a Frankenstein monster, assembled from different photos and stock materials and heavily overpainted to hide the "stitches". On top of it, he's playing an instrument made of a bloated dead pig. Monster! Ok, enough scary stories. Next time it's gonna be all warm and fluffy, I promise. See ya! 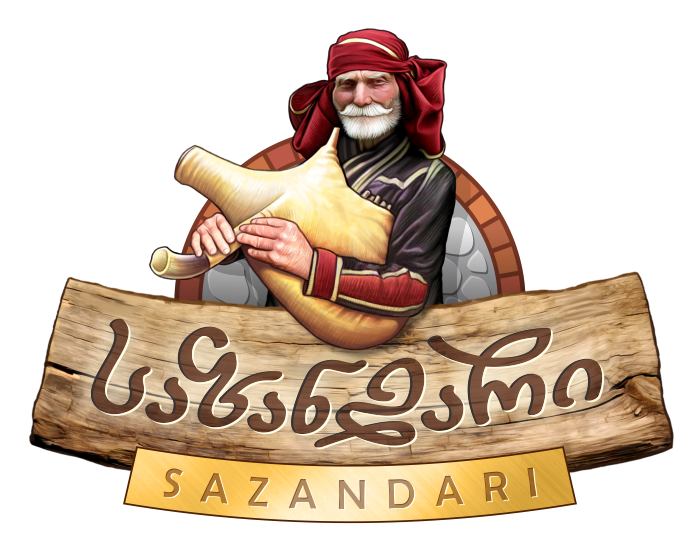 First of all, that thing on my avatar is not what your perverted imagination might suggest (like a melted female breast or something), it's just a khinkali (traditional Georgian sort of meat dumplings). If Salvador Dali had a chance to see one of those, he would definitely find it most surrealistic and polymorphous... But enough of that, let's talk about precious me. 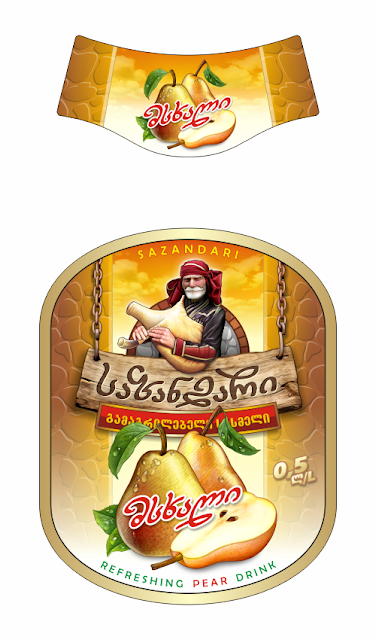 I am a Georgian artist and designer, living in Lithuania. I'm held in servitude by the evil printing industry, but somehow I manage to find time to draw pictures. This blog is mainly about art and design, but it also contains some bits and pieces of everything, including my private life. Enjoy your stay and don't forget to pay your taxes! Never bring pincers to a tank fight, dude! by Rezo Kaishauri, unless stated otherwise.